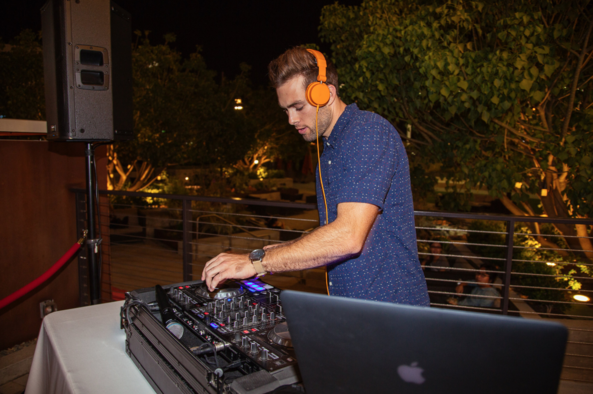 All our fantastic DJ's have over 8 years experience, and have worked over a combined 3,000 events. We have truly seen it all. Please contact us for going rate and availability . 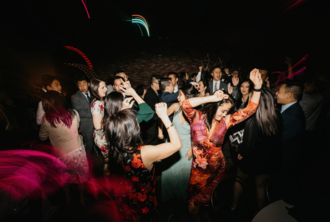 Full Audio Coverage - Three separate PA setups for your ceremony, cocktail, and reception site needs. No breaks in the tunes. 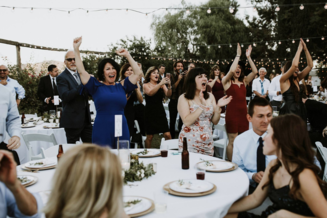 Wireless and lavaliere microphones for officiants, toasts, and announcements. Mixing boards, mic stands, DI's, and all cable provided for any live instrumentalists.  DJ & MC - Custom playlists for the entire night catered to you! Confident and clear MC who steers away from the cheesy jokes, and commands the night with ease. For us, our forte is truly the DJing. 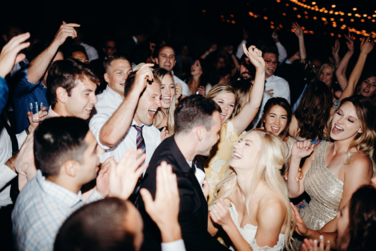 Your dance floor is guaranteed to be packed with our great song selection, perfect transitions, and inviting stage presence. Catch us playing Top-40, OG Hip-Hop, 80's smash hits, killer remixes, and much more! Clear Communication - Lets be real, we're here for you. 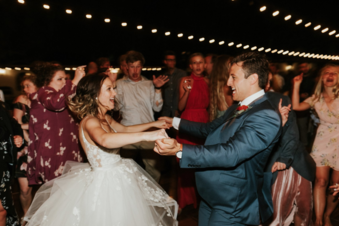 Upon booking we'll send out our Wedding Music Document to help you brainstorm and organize all your tunes for the big day. We're then readily available to answer any questions, offer song suggestions, provide timeline and logistics advice, or show you any past work. Meetings, phone calls, texts, or Facetimes are more than welcome. Our most popular add-on! I mean, c'mon -- look at these venues! 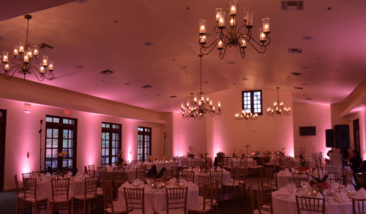 These professional, industry standard fixtures add the perfect accent to your venue. 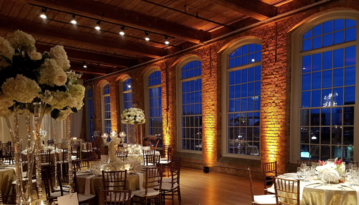 Whether they're highlighting creative architecture, or adding mood to a blank wall-- these uplights are the perfect way to make your wedding pop! Professional Color Mixing - 20 watts of RGBA color mixing means absolutely any color you want! Wireless & Battery Powered - No power cables, no mess! Remote Controlled EFX - Once dancing kicks up, these babies can color scroll and chase, strobe, and add that fun disco flare to the room! Our signature WowBooth is the perfect addition to your next party! This uniquely designed booth is the perfect fusion of modern and rustic, and comes fully automated to take hi-quality, animated, and exuberant gifs or photos. 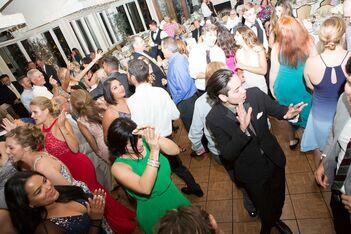 We share the gallery link with you and your guests, so everyone will have access to the fun! 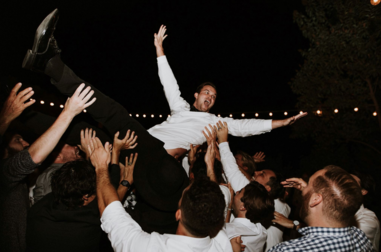 Instant Text / Email - Once your guests have taken their shots and selected their filters, they will be given the option to instantly share to their mobile device. 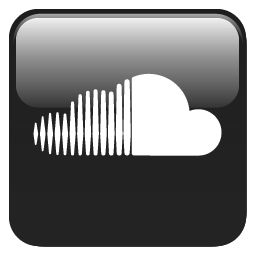 This allows for quick uploading + social media sharing! *On-demand print options are also available. Custom Photo Layouts - Layouts include animated GIF, standard 4x6 print, classic 'fair style' 4 photo strip, or the retro 2X2 photo square. Custom Prop + Backdrop + Print Options Available - Looking to add emojis, memes, hashtags, and hilarious props? Maybe you're looking for a custom cloth, canvas, or sequin background to accompany the camera? We have you covered! Custom Graphics - Looking to add a custom graphic to accompany the event theme or celebration? "Cheers to the bride + groom!" "Happy Birthday Brad!" "Let's Celebrate." "Best Day Ever!" Let us know, and we'll design something up for you!